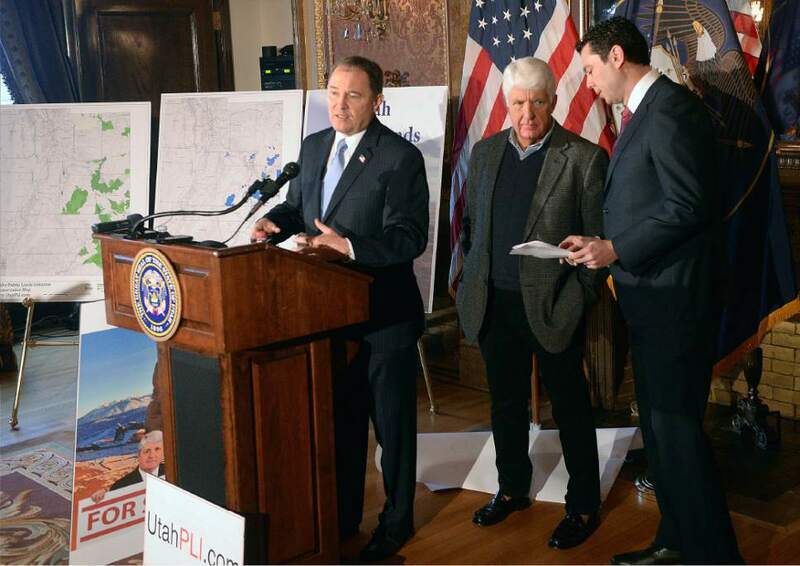 Al Hartmann | The Salt Lake Tribune Utah Governor Gary Herbert, left, speaks in support at unveiling of a "discussion draft" of a Public Lands Initiative bill affecting 18 million acres in seven eastern Utah counties at the Capitol Tuesday Jan. 20. Congressman Jason Chaffetz and bill sponsor Congressman Rob Bishop, right. Bishop intends on introducing the bill in congress in the next few weeks. Al Hartmann | Tribune file photo Utah Congressman Rob Bishop, center, with Utah Gov. 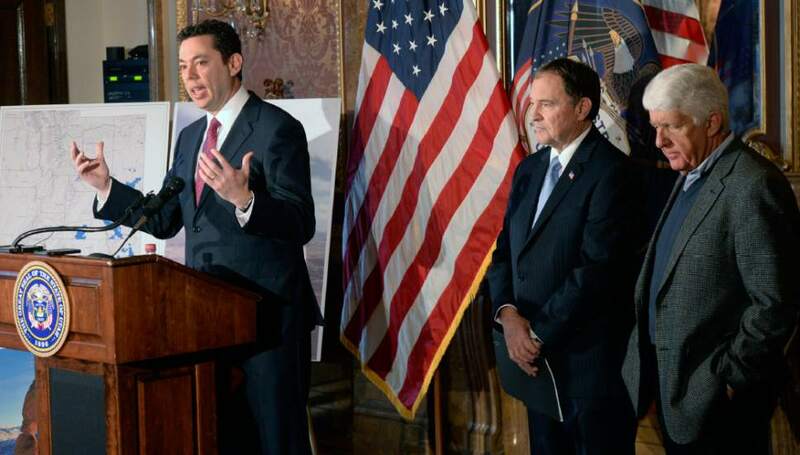 Gary Herbert, left, and Rep. Jason Chaffetz, right, unveil a "discussion draft" of their Public Lands Initiative bill affecting 18 million acres in seven eastern Utah counties at the State Capitol Tuesday Jan. 20. 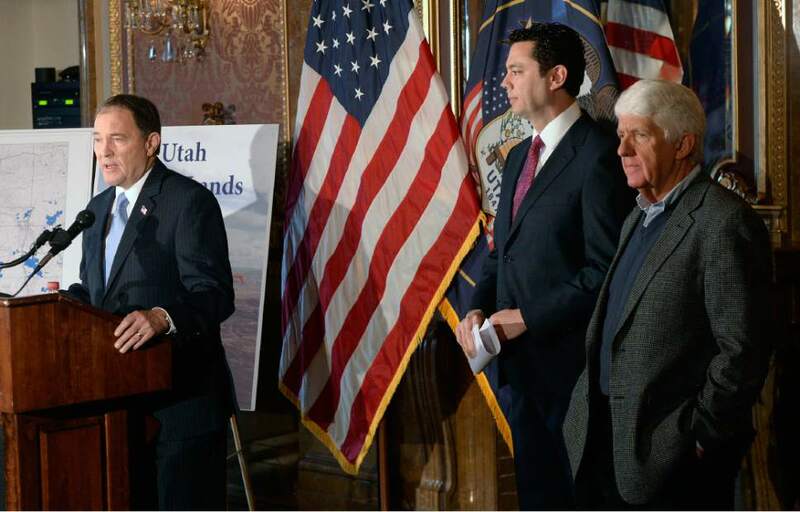 Al Hartmann | The Salt Lake Tribune Congressman Jason Chaffetz at unveiling of a "discussion draft" of a Public Lands Initiative bill affecting 18 million acres in seven eastern Utah counties at the Capitol Tuesday Jan. 20. 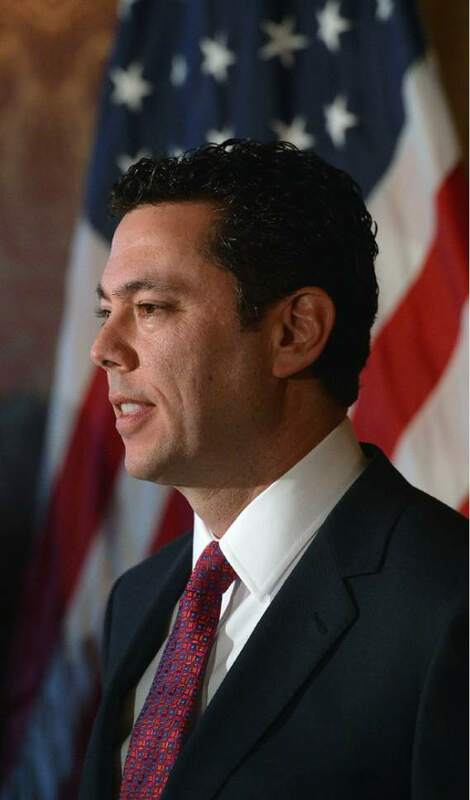 Al Hartmann | Tribune file photo Utah Congressmen Rob Bishop and Jason Chaffetz with Utah Gov. Gary Herbert unveil a "discussion draft" of their Public Lands Initiative bill affecting 18 million acres in seven eastern Utah counties at the State Capitol Tuesday Jan. 20. Al Hartmann | The Salt Lake Tribune Utah Governor Gary Herbert, left, speaks in support at unveiling of a "discussion draft" of a Public Lands Initiative bill affecting 18 million acres in seven eastern Utah counties at the Capitol Tuesday Jan. 20 as bill sponsor Congressman Rob Bishop and Congressman Jason Chaffetz talk at right. Bishop intends on introducing the bill in congress in the next few weeks. 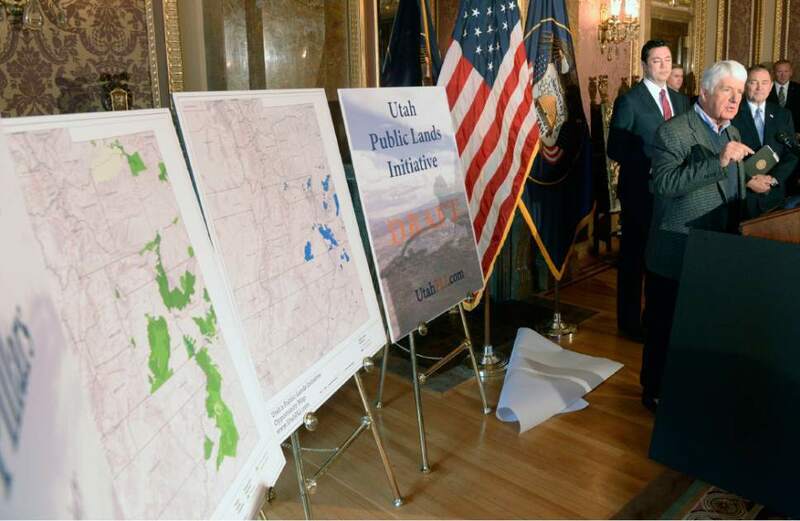 Al Hartmann | The Salt Lake Tribune Utah Governor Gary Herbert, left, speaks in support at unveiling of a "discussion draft" of a Public Lands Initiative bill affecting 18 million acres in seven eastern Utah counties at the Capitol Tuesday Jan. 20. Congressman Jason Chaffetz and bill sponsor Congressman Rob Bishop, right. Bishop intends on introducing the bill in congress in the next few weeks. 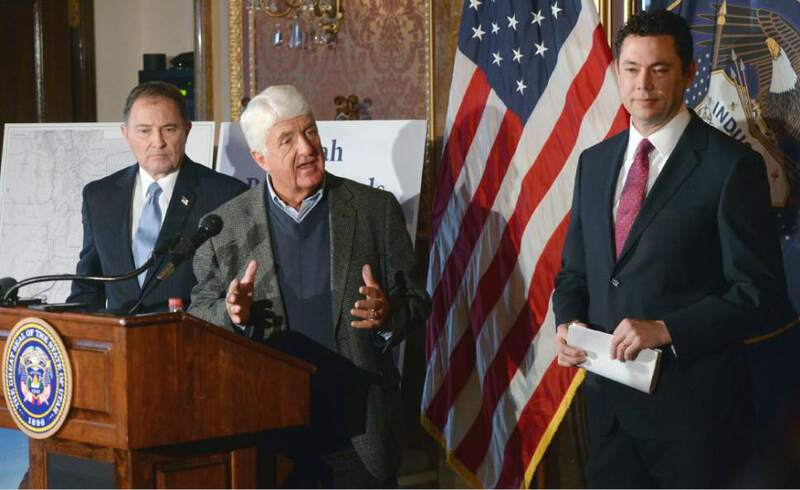 Al Hartmann | The Salt Lake Tribune Utah Congressman Jason Chaffetz, left, speaks in support at unveiling of a "discussion draft" of a Public Lands Initiative bill affecting 18 million acres in seven eastern Utah counties at the Capitol Tuesday Jan. 20. 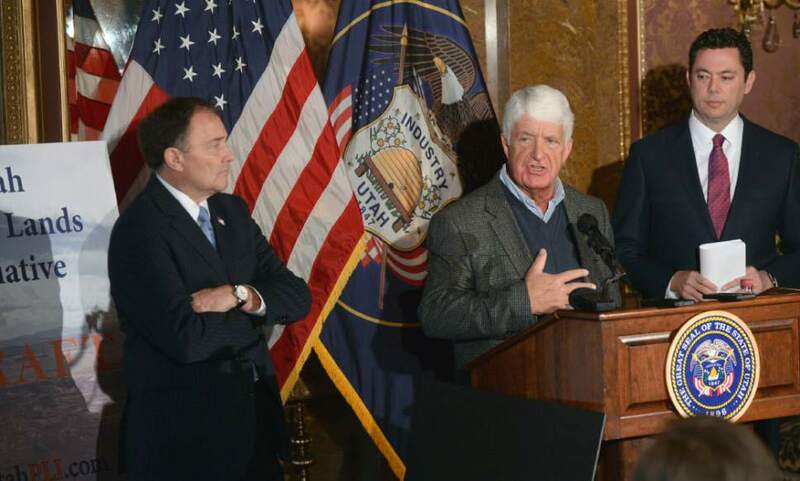 Governor Gary Herbert and bill sponsor Congressman Rob Bishop, right. Bishop intends on introducing the bill in congress in the next few weeks. Al Hartmann | The Salt Lake Tribune Utah Congressmen Rob Bishop, center, and Jason Chaffetz, left, with Utah Governor Gary Herbert, right, unveil a "discussion draft" of their Public Lands Initiative bill affecting 18 million acres in seven eastern Utah counties at the Capitol Tuesday Jan. 20. Bishop intends on introducing the bill in congress in the next few weeks. 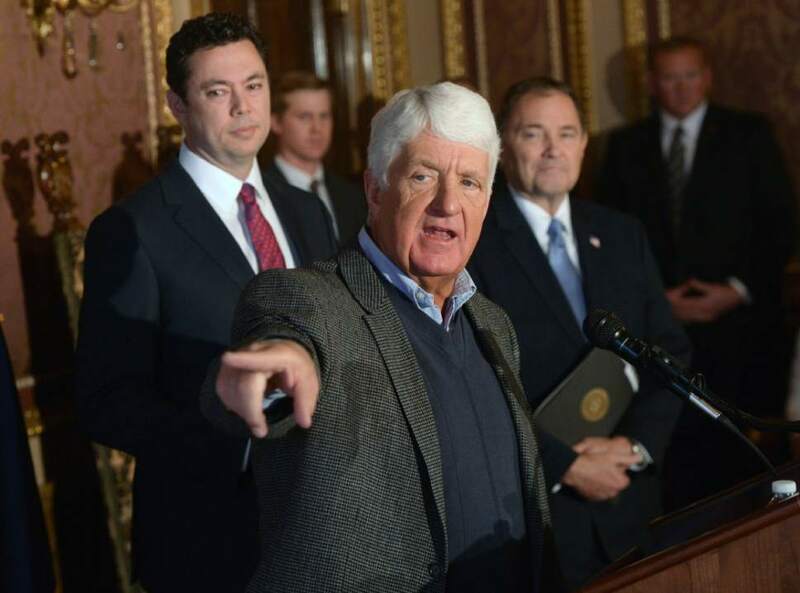 Al Hartmann | The Salt Lake Tribune Utah Congressman Rob Bishop shows a poster criticising his views of federal land use as Congressman Jason Chaffetz and Governor Gary Herbert chuckle. Bishop said that it was an old photo of him 60 lbs. heavier and that a new photo should be used. The three then unveield a "discussion draft" of their Public Lands Initiative bill affecting 18 million acres in seven eastern Utah counties at the Capitol Tuesday Jan 20. Bishop intends on introducing the bill in congress in the next few weeks. Al Hartmann | The Salt Lake Tribune Utah Congressman Rob Bishop, center, with Utah Governor Gary Herbert, left, and Congressman Jason Chaffetz, right, unveil a "discussion draft" of their Public Lands Initiative bill affecting 18 million acres in seven eastern Utah counties at the Capitol Tuesday Jan. 20. Bishop intends on introducing the bill in congress in the next few weeks. 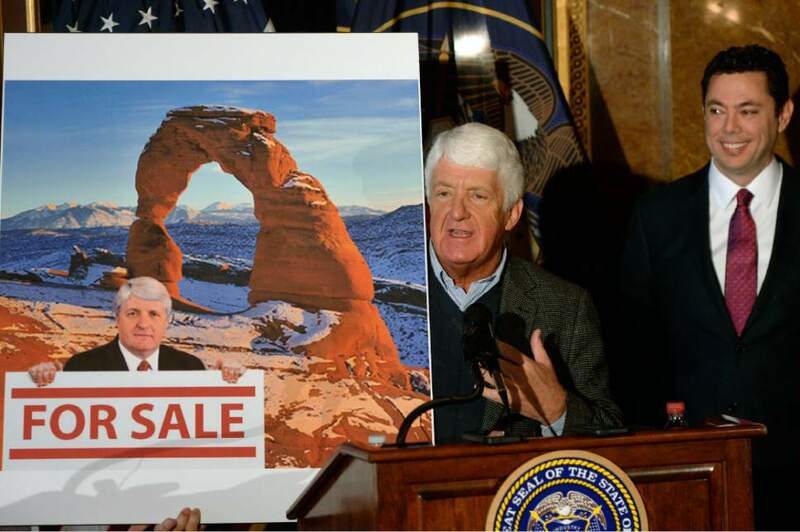 Al Hartmann | The Salt Lake Tribune In this file photo, Utah Congressman Rob Bishop criticizes a poster that attacked his views of federal land use, as Congressman Jason Chaffetz chuckles. Trent Nelson | The Salt Lake Tribune Soldier Creek Road, leading into Nine Mile Canyon in the northern Book Cliffs, Tuesday January 19, 2016. Reps. Rob Bishop and Jason Chaffetz&apos;s long-awaited draft of the Utah Public Lands Initiative Act, released Wednesday, purports to balance conservation and the opportunity to resolve land-use conflicts in seven eastern Utah counties  San Juan, Grand, Emery, Carbon, Uintah, Duchesne and Summit. Here is a summary of the 65-page "discussion" draft so far available. See the full story here. • 41 new wilderness areas totaling 2.3 million acres, including Desolation Canyon, Candland Mountain, a 26,701-acre addition to the High Uintas, Mancos Mesa, Cheesebox Canyon, Dark Canyon, Cedar Mesa, Mexican Mountain, Range Creek and Butler Wash.
• 14 new national conservation areas totaling 1.8 million acres of Bureau of Land Management land, including Bears Ears, White River, Diamond Mountain, San Rafael Swell, Labyrinth Canyon, Book Cliffs and Nine Mile Canyon. • Expanding Arches National Park by 19,255 acres to protect the view behind Delicate Arch. • Establishing seven special management areas covering 94,958 acres on U.S. Forest Service lands. • Establishing the 867-acre Jurassic National Monument at Cleveland Lloyd Dinosaur Quarry. • Designating 301 miles of wild and scenic river on the Colorado, Green, Dolores, San Juan and Dark Canyon rivers. • Creating an 110,838-acre Ashley Creek Recreational and Special Management area. • Expedite drilling in areas deemed "open" to mineral development. • Convey title to thousands of disputed road segments to the state. • Bar future Antiquities Act monument designations. • Consolidate 336,441 acres of School and Institutional Trust Lands (SITLA) through land swaps that would safeguard nearly 36,000 roadless acres in the Book Cliffs from energy development. • Release 80,797 acres from wilderness study. • Create a 13,321-acre Price Canyon State Forest. • Expand Goblin Valley State Park and create a 156,540-acre "co-management" area extending into the San Rafael Swell. • Convey 23 federally owned areas totaling 40,449 acres to state and local entities to facilitate public use, such as the expansion of the Canyonlands Field Airport, the Hole-in-the-Rock Trail, the creation of Fantasy Canyon State Park, an expansion of the University of Utah&apos;s Range Creek Research Station and the creation of a Seep Ridge utility corridor. • "Dispose" of 5,094 acres in Emery County. • Promote economic development for Native American communities, although these sections remain blank. 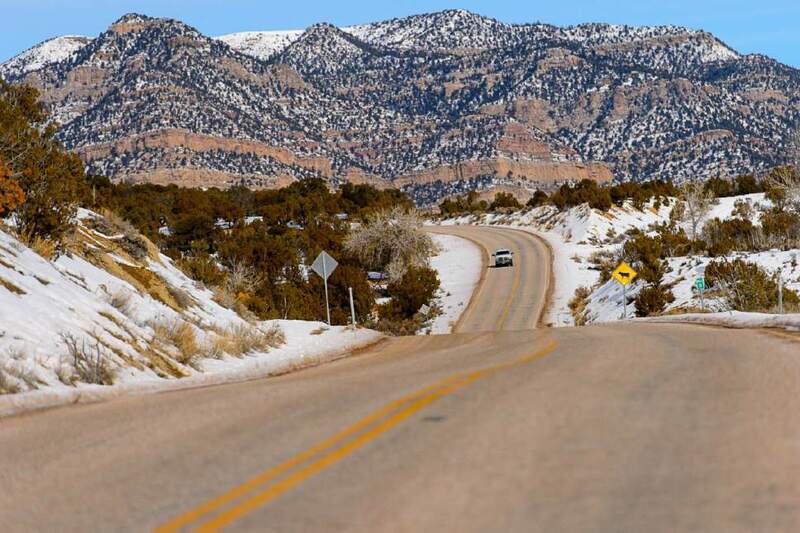 • Establish a 93-mile OHV trail connecting the town of Green River with Grand Junction, Colo.
• Establish recreation zones covering 375,689 acres in Canyon Country, including two areas in San Juan County for motorized recreation. "The process that went into producing this bill is truly laudable and the resulting policy is a good-faith compromise. Not only does this bill secure valuable land for natural resource development to fund public schools, not only does it promote conservation and recreation, but it also protects those with existing interests on federal lands and will insulate the participating counties from future disruptive federal action." "This is very energy-focused. The land needs to be healed and needs time to rest so it can continue to produce the plant life and the animal life. I advocate for more of a decision-making capacity. The federal government continues to put tribes in an advisory role, when we need to be at the table as equal decision-makers. Look at how much we have already lost. That&apos;s a slap in the face compared with what we proposed." "We applaud the concept of energy planning areas that are primarily focused on energy development, and understand that in return other areas will be designated for conservation. We are concerned that prospective areas are being placed off-limits, since advances in technology have enabled the oil and natural gas industry to reduce the impact on the land by as much as 70 percent, and improved reclamation means that the impact from development is small and temporary." "Effectively, less wilderness would be protected in Utah if this bill passed than what is currently managed for the public. The wilderness it designates includes unprecedented loopholes and caveats, like enshrining grazing. This proposal does not do justice to these world-class landscapes." "The draft PLI weakens existing protections for important natural and cultural resources inside the proposed Bears Ears National Monument. It neglects hundreds of thousands of acres of deserving wilderness and turns public lands over to county ownership that have already been subject to looting and grave-robbing." "This special interest lollapalooza plan guarantees Utah will continue to spend tens of millions of tax dollars to fight useless, message lawsuits that the state will lose. The Bishop PLI seems intended to make political points with the far fringe of the GOP base delegates. It is not serious. Utah should roll up its sleeves, sit down with the feds and make a generational deal to make our state open to outdoor recreation, protected for hunters and anglers, preserve our pristine places, and designate limited areas of economic development." "The boundaries of the Bears Ears National Conservation Area fail to protect essential cultural sites and wildlife habitat areas that we have asked to be preserved. The PLI does not elevate the voice of Native Americans as co-equals alongside federal land managers in the management of the Bears Ears NCA. Instead, the PLI offers Tribes only a consultative role in advising on the area&apos;s management." 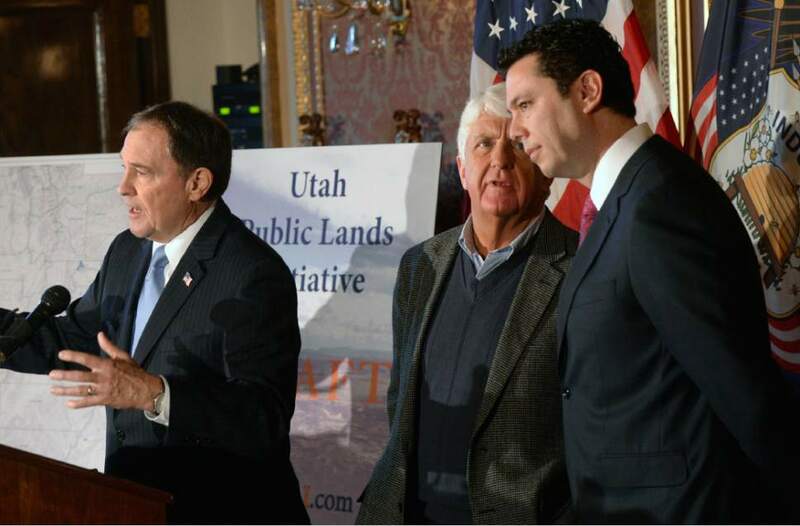 "There is no doubt Utah stands to gain directly and immediately under the Public Land Initiative. I am supportive of this inclusive, bottom-up approach that moves us in the right direction. While the initiative is not perfect, as no true compromise is, it finds a way to give the state greater control over the use of Utah lands." "The release of this draft represents the culmination of years of our effort to listen to people. This is a discussion draft, which provides another opportunity for positive ideas. Our goal has always stayed constant. We will conserve areas worthy of conservation. We will guarantee outdoor recreation for all Utahns. We will enhance economic development to fund Utah schools and create good jobs. We will provide certainty by ending the litigation and mindless debates. That certainty will allow everyone to plan for the future without outside groups imposing their misguided will." "PLI will enhance local land management and provide immediate certainty to eastern Utah communities. This locally driven process has allowed stakeholders to come to the table, engage in conversations, and offer solutions that make the land management system work better for eastern Utah. We&apos;ve crafted a needed balance between conservation and economic development and I look forward to moving this bill forward." "What profiteth a state to set aside pristine red rock landscapes, only to allow them to be polluted with bad air quality from drilling and mining? That provision alone suggests that the real impetus behind the PLI is profit, not protection. ... I hope that members of Congress will see this for what it is and vote it down."